The former Arab League and United Nations peace envoy to Syria, Lakhdar Brahimi, will be proved correct about a dark future for Syria. James Gelvin is a professor of modern Middle Eastern history at UCLA. This column originally appeared in the Conversation. It’s always dangerous to make predictions about the Middle East. After all, few experts foresaw Anwar al-Sadat’s trip to Jerusalem in 1977, which led to the first peace treaty between Israel and an Arab state, nor did they predict the Iranian Revolution of 1978–79 or the Arab uprisings of 2010–11. Having taught and written about the Middle East for three decades, however, I feel confident in making the following forecast for the region in 2018. 1. 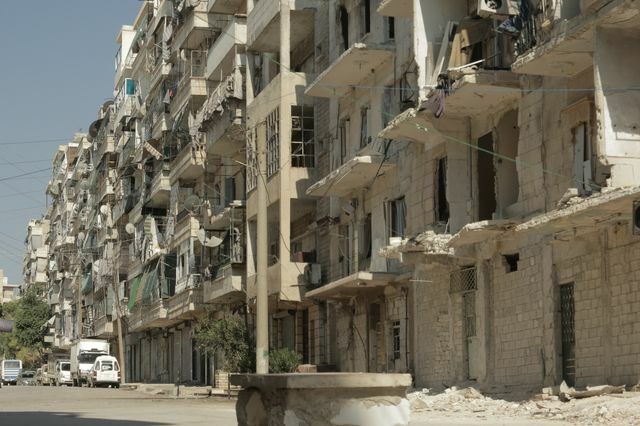 The Syrian conflict will drag on without resolution. In Syria, the government will continue to reconquer territory, but will not be able to expand its control across the entire country. First, regime opponents who have borne the brunt of the regime’s brutality for the past seven years know better than to throw themselves on its mercy now. In the past, they have treated government offers of amnesty with scorn. They will continue to do so. Second, the government is too weak. Most of the territorial gains the government made during the past two years were accomplished by subcontractors — Hezbollah, Iranian units, Iranian-trained and controlled militias and private militias — not by the depleted government forces. Third, the overwhelming majority of opposition groups operate within the confines of a single province. This indicates that they are local forces under the control of a local power broker. Having experienced the lighter hand of the government for the past six years, they are unlikely to willingly surrender their hard-won autonomy. Finally, the Syrian civil war has been a proxy war with the West and Saudi Arabia and its Gulf allies supporting the opposition. While that aid will certainly decline as a result of donor fatigue and logistical problems, it will probably not end. As a result, the opposition will not surrender from sheer exhaustion. The former Arab League and United Nations peace envoy to Syria, Lakhdar Brahimi, will be proved correct. Several years ago, he predicted the Syrian civil war would end with the "Somalization" of Syria. Like Somalia, Syria will have an internationally recognized government and permanent representation at the United Nations. It will continue to issue and stamp passports and, if it so chooses, will send a team to the Olympics. However, like the government of Somalia, the government of Syria will reign, not rule, over the entirety of its internationally recognized borders. 2. Saudi Arabia’s ‘reforms’ will fizzle. Saudi Arabia will continue to make reforms under the direction of Crown Prince Muhammed bin Salman, but those reforms will be purely cosmetic. Although the crown prince has been portrayed as a reformer, it is important to remember that Bashar al-Assad, the president of Syria, once played that role as well. The crown prince will continue to try to consolidate power in his branch of the ruling family. So far, he has imprisoned other princes and economic elites on charges of corruption, while spending $300 million on a house in France. He has also taken power away from another pillar of the Saudi ruling group — the religious establishment. In fact, the so-called “loosening” of restrictions in Saudi Arabia — allowing women to drive, opening entertainment centers, stripping the religious police of the power to make arrests and promoting a “more moderate” Islam — are all aspects of his campaign to divest the religious establishment of its power and centralize power in the hands of his immediate family. Only by releasing prisoners of conscience from Saudi jails and ending the barbaric war in Yemen might the crown prince demonstrate he is a true reformer. The crown prince’s push to liberalize the Saudi economy will also fail. Two years ago he announced his “Vision 2030.” It includes a list of off-the-shelf neo-liberal recommendations intended to turn Saudi Arabia into a market economy within 14 years. The implementation of Vision 2030 would mean ending a governmental tradition of buying the loyalty of Saudi citizens through subsidies and employment. It would mean ensuring a free flow of information in a country that, in 2017, Reporters Without Borders ranked 168th of 180 countries in terms of press freedom. It would mean dramatically increasing female workforce participation from 22 percent to a stated goal of 30 percent — still well below the global norm of 49 percent — and adding 2.5 million private sector jobs. Finally, it means changing attitudes toward work in a country in which 11 million guest workers literally do all the heavy lifting. 3. The caliphate will be gone, but not the Islamic State. If 2014 was the year in which IS seemed unstoppable, 2015 was the year the IS caliphate began to slide into oblivion. At its height, IS controlled 40 percent of Iraq. At the beginning of 2017, that number slipped to 10 percent, and IS lost 70 percent of its territory in Syria. The caliphate also lost all the major towns it had taken. The caliphate is finished. But what about IS, the movement? Some IS fighters have already given up. They have tried to melt into local populations or return home, although they have met resistance from populations out for vengeance and fearful foreign governments. For the rest, there are two likely scenarios. First, since a significant number of IS fighters from Iraq, along with their leaders, joined IS because they harbored grievances against the Shiite-dominated government in Iraq, it is entirely possible that they will continue to wage an insurgency against that government. This is just what the Taliban in Afghanistan did after the Americans overthrew their government. Second, it is even more likely that former fighters and freelancers will continue their attacks globally, with or without organizational backing. The world is not lacking in gullible and disturbed individuals. Nevertheless, because IS will lack a base from which to disseminate its sophisticated propaganda, and because the appeal of high-risk but ineffectual ideologies wane over time, so too will IS’ appeal. 4. Trump’s ‘ultimate deal?’ Gone for now. When the U.S. recognized Jerusalem as the capital of Israel, it put another nail — quite possibly the final nail — into the coffin of the Oslo agreements, which set the parameters for negotiating a two-state solution. In spite of the protestations from the Trump administration, an Israeli government secure in the embrace of the United States lacks incentive to concede anything. The United States has been down this road before, multiple times, and to no avail. In addition, the polarized politics of the Middle East further erodes the possibility of resolving the conflict. In 2002, the Saudis proposed a peace plan: If Israel made peace with the Palestinians, the Arab states would normalize relations with it. Saudi Arabia and the Gulf States and Israel are now in de facto alliance against Iran. The Palestinian issue has dropped by the wayside and another incentive for Israel to make peace has disappeared. 5. Yemen will sink further into the abyss. Down the road, the most important underreported crisis in the Middle East is the war in Yemen, which Saudi Arabia, with American support, is waging against an indigenous uprising. There is no end in sight. The Saudis claim the Houthis — rebellious members of the dominant clan of Shiites who live mainly in the north of that country — are Iranian proxies. The Saudis have thus entered the war on the side of a government that took power after a rigged “national dialogue” and an election won by the only candidate — a Saudi-supported candidate — allowed to run. The Houthi rebellion in fact began in 2004, long before the Saudis noticed Iranian conspiracies throughout the region. The Saudis have engaged in a massive bombing campaign of civilian areas and have blockaded the ports of a country that is dependent on imports for 90 percent of its food. Yemen is the poorest Arab country. As a result of the Saudi campaign, which not only has killed 12,000 Yemenis but has kept a civil war going, 50,000 children faced starvation at the end of 2017. Between April and August 2017, 20,000 Yemenis died of cholera. The United States supports the Saudi war effort. Yet, like Saudi Arabia, it accuses Iran of being the greatest purveyor of terrorism in the region. 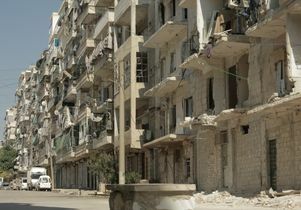 Aleppo. IHH Humanitarian Relief Foundation/Flickr. Creative Commons 2.0. 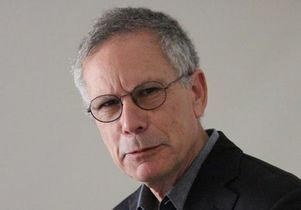 James Gelvin, professor of history at UCLA.